My latest publication, in the journal Conservation Biology, is titled “Using perceptions as evidence to improve conservation and environmental management”. In this article, I argue for a broader view of evidence in adaptive environmental management and evidence-based conservation. I clarify how perceptions can be used as a form of evidence to guide conservation decision making and action taking. Perceptions provide critical insights into how people view social impacts, ecological outcomes, governance processes and management. Peoples understandings and evaluations of these four factors ultimately determines their level of support for conservation. Conservation success depends on long-term local support. Reference: Bennett, N. J. (2016). Using perceptions as evidence to improve conservation and environmental management. Conservation Biology. online. evaluation of management, governance, ecological, and social considerations as part of a broader move toward adaptive management and evidence-based conservation. Evidence is any information that can be used to come to a conclusion and support a judgment or, in this case, to make decisions that will improve conservation policies, actions, and outcomes. Perceptions are one type of information that is often dismissed as anecdotal by those arguing for evidence-based conservation. In this paper, I clarify the contributions of research on perceptions of conservation to improving adaptive and evidence-based conservation. Studies of the perceptions of local people can provide important insights into observations, understandings and interpretations of the social impacts and ecological outcomes of conservation; the legitimacy of conservation governance; and the social acceptability of environmental management. Perceptions of these factors contribute to positive or negative local evaluations of conservation initiatives. It is positive perceptions, not just objective scientific evidence of effectiveness, that ultimately ensure the support of local constituents thus enabling the long-term success of conservation. Research on perceptions can inform courses of action to improve conservation and governance at scales ranging from individual initiatives to national and international policies. Better incorporation of evidence from across the social and natural sciences and integration of a plurality of methods into monitoring and evaluation will provide a more complete picture on which to base conservation decisions and environmental management. Environmental governance is a topic that has received a fair amount of attention in the academic and applied literatures on conservation and environmental management in the last few years. However, there remains a significant amount of confusion about what governance is, how governance is different than management, and what topics and questions governance scholars examine. 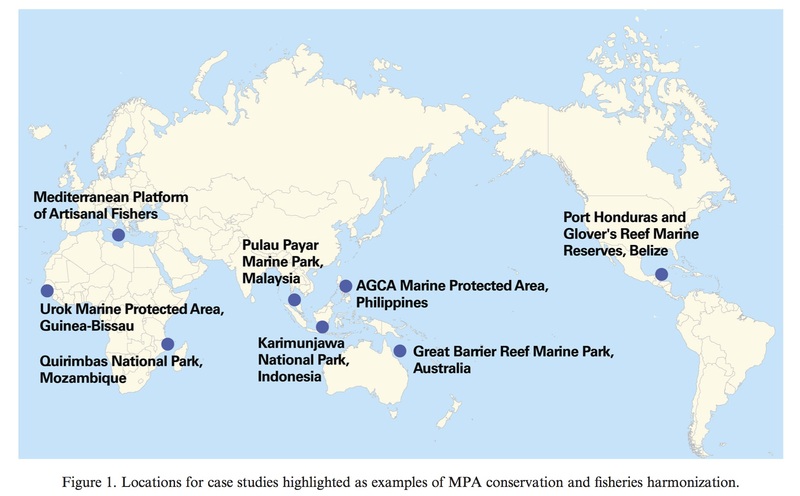 In this open access extended review in the journal Conservation Biology, I provide answers to these questions while reviewing Peter Jones’ book “Governing Marine Protected Areas: Resilience through Diversity“. Excerpts from the text of “Governing marine protected areas in an interconnected and changing world” follow below.